Dr. Zemanovich is a Diplomate of the American Board of Periodontology. He earned both his Doctor of Dental Surgery degree and completed his post-graduate periodontal training with a Master of Science at the VCU School of Dentistry in Richmond, VA. He is an active member of the American Academy of Periodontology, the Southern Academy of Periodontology, the Virginia Society of Periodontology, the Academy of Osseointegration and the American Dental Association. He is an Assistant Clinical Professor in the Department of Periodontics at the VCU School of Dentistry. Dr. Zemanovich maintains a private practice limited to periodontics and implant dentistry located in Stephens City, VA.
You may also still register by mail/check if you prefer. Complete this section and return with your payment. Please retain a copy of this registration for your records. Please check the course(s) you would like to attend. Please do NOT contact Lord Fairfax Community College as they are not the course sponsor. **If you are registering several individuals from one office, Please make copies of registration for each person. VDHA Northwestern Component is an approved course provider by the Virginia Board of Dentistry. No refunds for no-shows. Courses will begin promptly at posted times. Registration begins ½ an hour before the course. 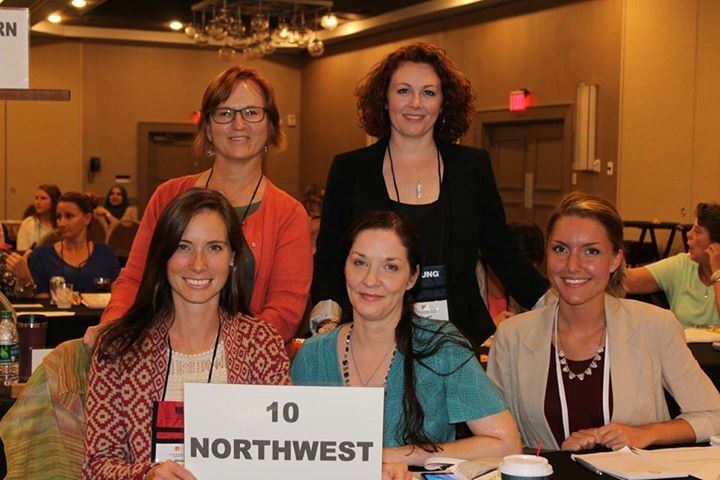 Northwest Delegation plus Pam Kitner and Karen Avey. From left to right. 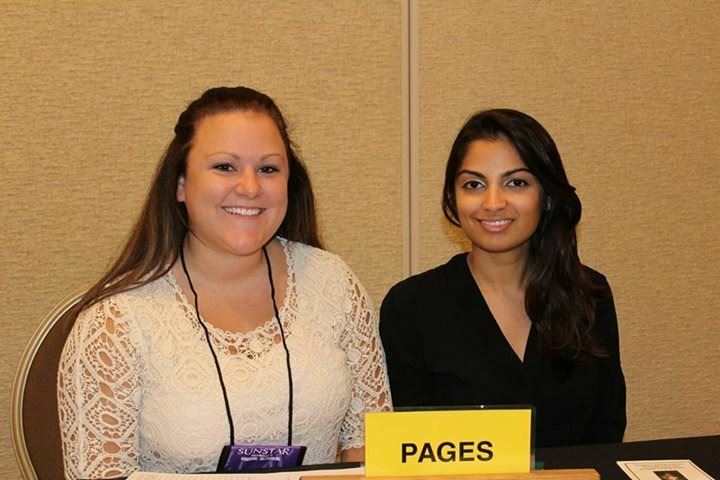 VWCC students Katharyn Seay and Chelsea Broce; LFCC students Uswa Arain and Carly Piercy. Linda Gill presenting award to Lori Ellington. Northwest Delegation and members with LFCC and VWCC students! 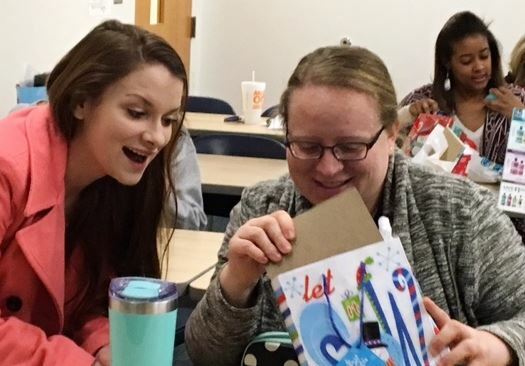 The LFCC Dental Hygiene students participated in “Its Hygienic” a student competition against other schools in preparation for taking National Boards. 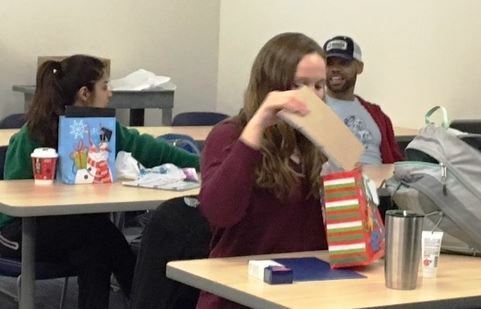 On February 17, on 2018 at Virginia Commonwealth University, the LFCC students brought home a 2nd place victory. Congratulations to Jessica Mahon, Dane Hooser, Dana McAnalllen, Heidi Kaus, and Uswa Arain. Students attended an Orientation held by the DH Faculty at LFCC. Mentors and Students were introduced and had time to get acquainted. Best of luck to the new class! 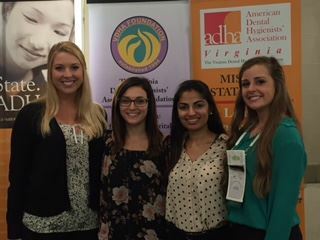 Four Dental Hygiene Students from the Lord Fairfax Community College site attended the American Dental Hygienists' Association Center for Lifelong Learning at the 90th Annual Session in Boston, MA June 19-22, 2013. One of the student track activities was a program titled "Are You Smarter than Dr Esther Wilkins?" It was a National Board Review Challenge competition. Four LFCC students were a part of the winning team for the competition! Congrats, ladies. Job well done! pictured (2nd -5th left to right) are Christina Barton, Alexia Hammond, April Dennis and Whitney March. 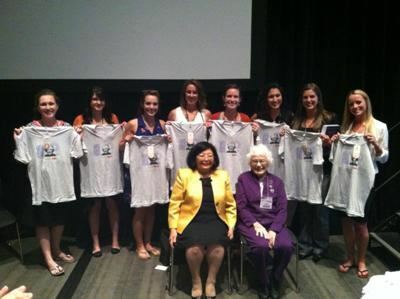 Pictured with the students are Anna Pattison (left front) and Dr Esther Wilkins (right front). 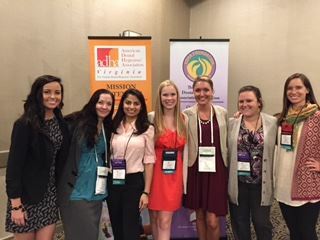 The LFCC Dental Hygiene students applied and received an educational grant to supplement activities for their group Public Health project. The following is the final report of their project. 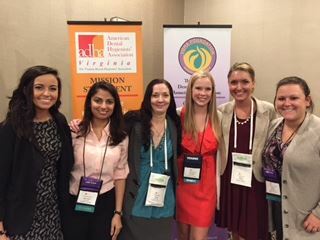 The Student Chapter of the American Dental Hygienists’ Association (Lord Fairfax Dental Hygiene class of 2014) would like to thank you for your contributions to our recent wellness fair. It was a success that we will always be grateful for. We just wanted you to be aware of how your donation helped, and how it was used. As a class we set up a table at the college wellness fair. Three tri-fold boards were displayed for passing students and visitors. Our first board, titled Nutrition, displayed several sodas and juices, with a display of sugar in each of the drinks. We also placed an acid exposure chart on this board with the effects of drinks and some foods on the oral pH. Our second board labeled Oral Hygiene, explained how to floss, brush, and rinse. Lastly, the third board titled Oral Cancer displayed photos of oral cancers, as well as risk factors, symptoms, prevalence, and survival rates. This poster received a lot of attention and inquiries from the wellness fair participants. We used this board as a segway into the next part of the program plan. Forty dollars was used for making these displays. 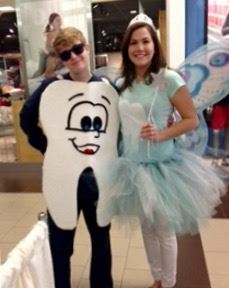 As students and visitors asked about the oral cancer display, we explained that they could get a free oral cancer screening from a student in the college dental clinic. 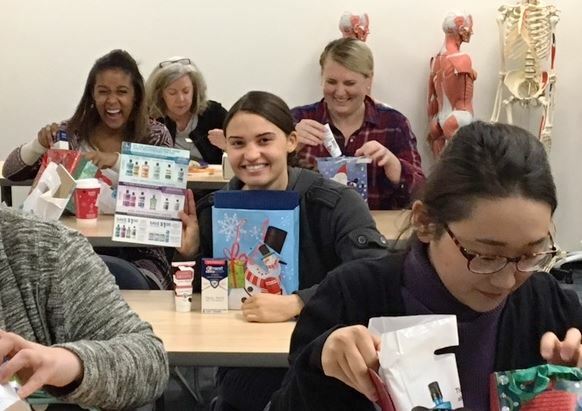 Ninety-one dollars was spent on supplies from Smart Practice for such items as masks, gloves, tongue depressors, and barriers. We had volunteers for screenings, and afterwards provided them with a post-test survey. Thirty-two dollars was spent at Staples printing this survey as well as other pamphlets and paperwork for the wellness fair. Our surveys confirmed that prior to the screening many people were not aware of the risk factors of oral cancer, as well as the prevalence. Participants shared that most feel more comfortable now looking for warning signs, and sharing with others what they have learned. Overall, the day was very successful. Just getting the idea of oral cancer out there with college aged students is very important, and we believe we accomplished our goal. Below are a few pictures from the event. Again, thank you so much for your support and contribution. The Northwest Component 10 was formed in 1977. Charter members included Diane Collis, Jan (Wahl) Miller, Donna Diamond, Jane Boyd and Betsy Conlon. 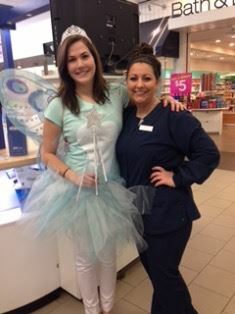 We are a small but very active component and represent dental hygienists in the counties of Clarke, Frederick, Page, Shenandoah, Warren and Rockingham as well as the cities of Winchester and Harrisonburg. We have had as few as six members and as many as forty members and we have always looked to new members for new experiences and ideas for development of the component. 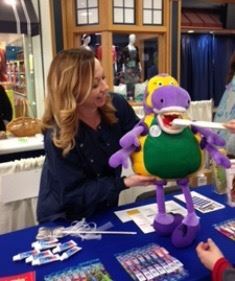 Dental hygienists are very active participants in community events. We have taken part in the Winchester Community Wellness Festival, the Thomas Harrison Middle School Dental Health Fair in Harrisonburg, VA, Community Health and Wellness Fair for Shenandoah County, in-service education for nursing home employees, annual toothbrush drives for a selected area abused women’s shelter, contribution to Share the Cheer Foundation, provide dental hygiene services for the (formerly Free Medical Clinic) Dental Clinic of the Northern Shenandoah Valley in Winchester, VA, VDHA Rally Day at the capital in Richmond, VA as well as our individual efforts to schools and other organizations for dental health education.